Recently we decided we needed to take the plunge and start the upgrade process of our Virtual Centre,ESX hosts and Update Manager to Version 4.1. The upgrades were fairly straight forward due partly to us having to rebuild our Virtual Centre Server recently and therefore had already completed the pre-requisite of the virtual centre OS being x64 and the ODBC requirements. The point of this posting is to summarise all the resources i used to prepare and make sure that the upgrades would run as smoothly as they did to my relief. Next I went through the Upgrading to ESX 4.1 and vCentre Server 4.1 best practices to make sure I was obviously following the best practices for the upgrade 🙂 This was a really great resource for the upgrade and covered all the things I needed to tick off in my preparations. The other resource that was amazing for reference and preparations was the vSphere Upgrade Guide for ESX and vCentre to version 4.1. It covers everything needed and i had it printed out beside me during the upgrades just in case. 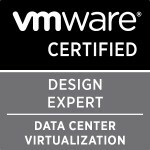 Duncan Epping’s small but so important posting all about the ODBC problems due to the VMware Update manager and vCentre needing to be installed on a x64 OS. Well that’s everything I followed for my upgrade. Thankfully mine was really straight forward but with all the above resources I knew that I had covered everything i could to make sure I didn’t hit any problems during the upgrades. Categories: Virtualisation | Tags: ESX 4.1, ODBC DSN on a 64 bit OS, Upgrade to version 4.1, vCentre 4.1, VMware, VMware Update Manager 4.1 | Permalink.